This is a "Work In Progress", make sure to come back for updates! 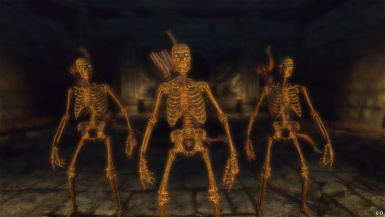 Skyrim Immersive Creatures Better Necromancer AI. 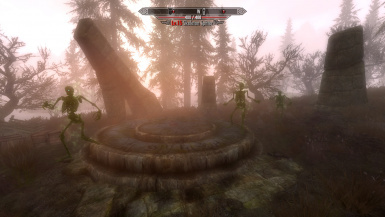 More difficult fight. 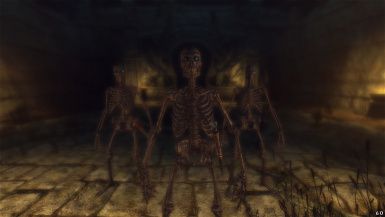 HD Black Skeletons (OexNerd) If you want the glow/smoke effect. This is a work in progress, and everything can be changed! 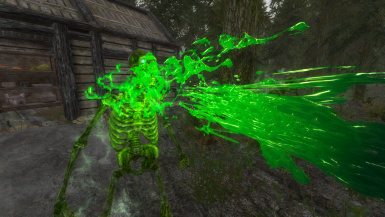 ﻿- Now ALL spells have a base duration of 120 seconds (changed from "permanent"). 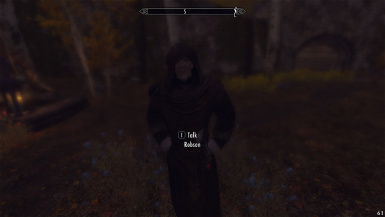 - All spell costs where balanced. According to each spell level. 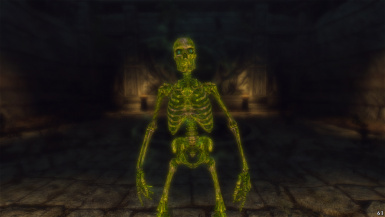 ﻿- Removed ALL "aura" effects. 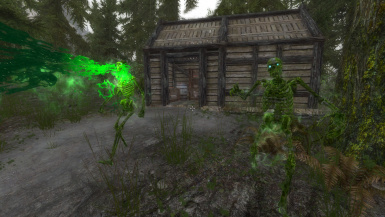 Immersive conjuration spells for Skeleton lovers. 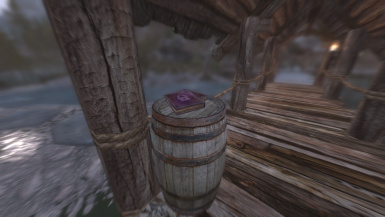 Added 11 new spell books! 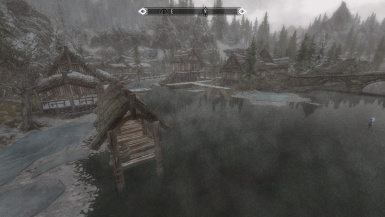 WEAK > Located in Morthal Pier (see image). 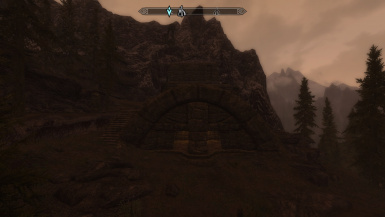 NORMAL > A chest in “North Shriekwind Bastion” , northeast of Falkreath. 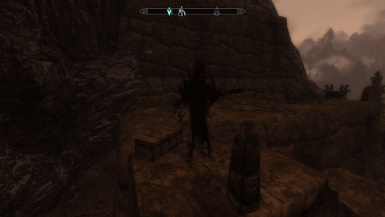 MASTER > Dropped by the necromancer in “North Shriekwind Bastion”. 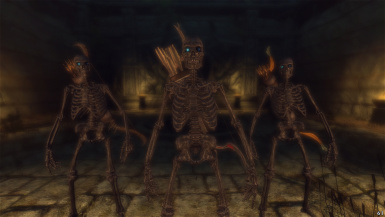 SPINAL > In “Morthal Marsh”. 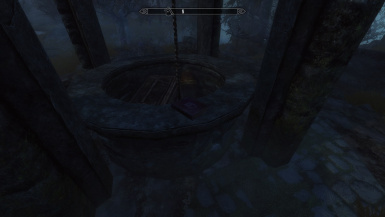 ﻿﻿SPITTER > In “Morthal Marsh”, where Falion make his rituals. 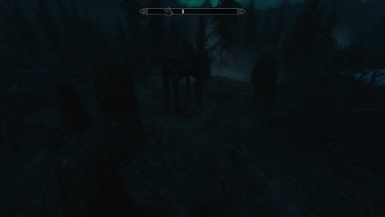 ﻿﻿BLOODSUCKER > In "Kjenstag Ruins", near to the “Morthal Marsh”. 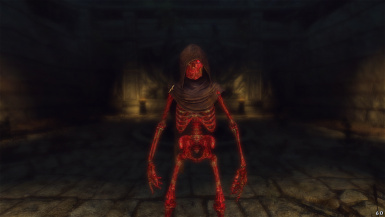 ** The Necromancer appearance is part of the "Immersive Creatures" mod. 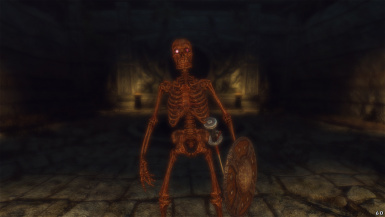 ** The Black Bones texture is included, but you can download it separately HERE.